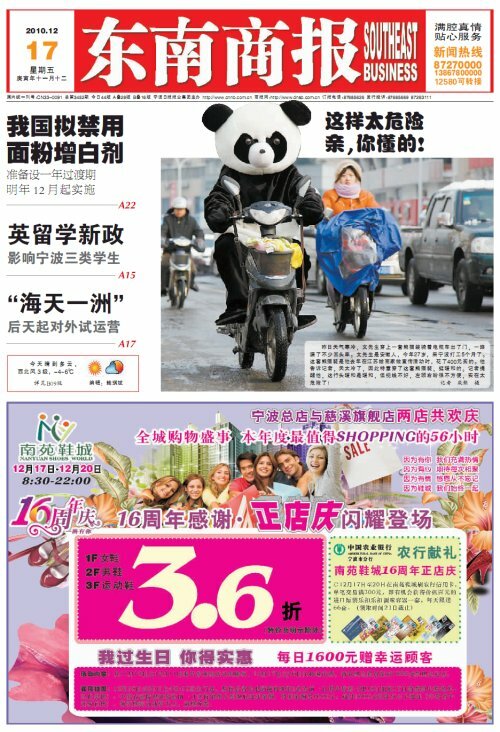 The image graced the front page of the December 17th copy of the Southeast Business and was picked up by Danwei. Initially I suspected that this was perhaps someone paying homage to the recent photos of researchers donning panda costumes (maybe he was on his way to a nature reserve to take a baby panda’s temperature) or that it was simply done to grab attention. However, according to the report who captured the image in Ningbo, the wearer simply donned the ridiculous outfit because he was cold. However, his excuse was probably just nonsense anyway. 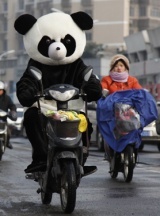 The evidence is mounting, and I think it is safe to assume that Chinese people just love to dress up as pandas whenever they get the chance. 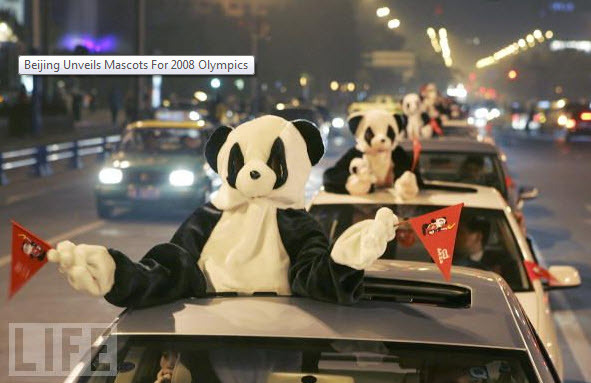 'Chinese people dressed as giant pandas to celebrate the panda being chosen as one of the mascots of Beijing 2008 Olympics on November 11, 2005' - I'm sure there was a way to celebrate this that didn't involve people having to dress up as pandas and sticking their bodies out the top of moving vehicles.